Gor Mahia’s new coach Hassan Oktay is set to coach in his first ever Mashemeji derby this Saturday. 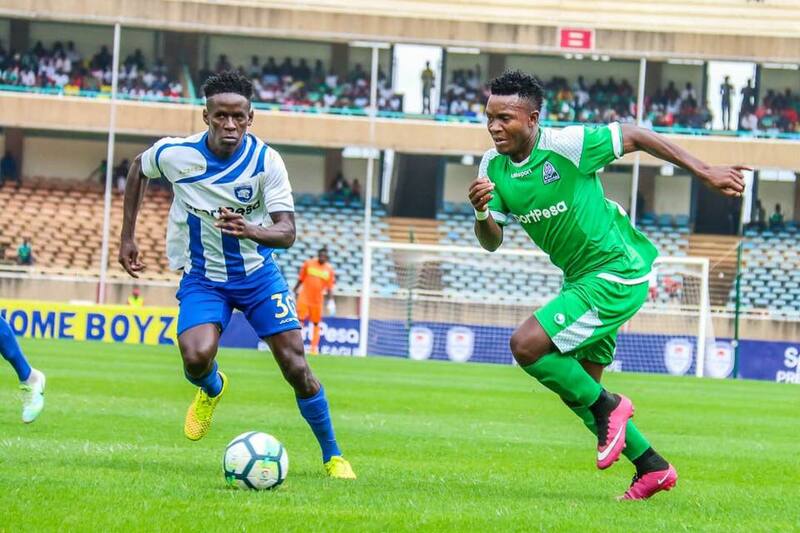 Gor Mahia have experienced a good run of form since their surprise loss to KCB that saw fans call for Oktay’s dismissal. Oktay kept his cool to lead Gor Mahia to wins over SoNy Sugar, Zamalek and Vihiga United. AFC Leopards for their part have struggled with losses to Bandari and a shock loss to Mount Kenya United on Wednesday. But Oktay is adamant that form does not matter in derbies. “I don’t think form counts in derbies,” Oktay said. “They might have been struggling of late but they have a new coach and derbies always has another element so we will be up against a different side and we will have to be at our best if we are to win that match.” he said. Oktay is indeed right. In fact in derbies, the better side that creates more chances can often lose. Which is why Oktay will have warned his charges about overconfidence. AFC Leopards skipper Robinson Kamura, speaking to the media on Thursday, says his team is not treating this match any different than they would treat other matches. As far as he and his team-mates are concerned, this is just another opportunity for three points. Gor Mahia will once again rely on new sensation Nicholas Kipkirui for goals. Fans will be hoping that Kahata has recovered sufficiently as he will be the main engine. From keeper Boniface Oluoch, fans, his team-mates and the technical staff will be hoping that he is focused. Harun Shakava, who often plays his best matches in the derby, will once again be relied on for defence and possibly goals in dead ball situations. Last year he scored the lone goal that enabled Kogalo to beat Ingwe 1-0 in the Supercup. Last year the two rivals met four times. Gor Mahia won three of those matches in regulation. The other one went to penalties which Gor Mahia won 5-4 thus earning the right to play Hull City. True coach Octay,derbies are always tricky. 1. Robinson Kamura says that they are sure to beat us and bag the three points. 2. Efusi’s new Rwandese coach says that Efusi is the biggest club with superior records locally until recently. I think he has opened his mouth wide rather too early. 3. Boniface Ambani is playing mind games that he is yet to take up the assistant coach’s role yet behind the scenes he is whipping the Efusi players to come out of their shell and beat Gor Mahia. All these three men must be stopped on their tracks. The should be made to eat humble yams. Tunayo kazi moja tu, tunayo kazi moja. Kazi ni kumlaza Efusi. When we were busy pumping four past Zamalek, our worthy opponents were busy conceding four from Bandari. As we got to work and fired one past Vihiga away, Efusi conceded two at home to MKU. Tunayo Kazi moja tu, tunayo kazi moja. Bytheway, for the record Afc will come fighting hard. This is a victory that could give them relevance but in the long run, this club is out of gas. Sakaja committee is a joke. This guy is in football for image, nothing more. Seeing him talk yesterday was clear that he is idealess on how Afc can come out of dooldrums. I am now at a stage that I thnk that it’s only Agwambo who can save leopards. It’s unfortunate that I have to call him out, the support he has given Gor is already too much but can someone tell me which luhyia son can. Ingo, apart from you guyz insulting Gor, which is the way out coz Afc is going down too fast… it might never recover. Gor will be fighting a fighter standing on one leg. I wud rather see the leopards of ’80-84. When we had of the Masiga, Mulamba, Abbas line-up, we knew only misery wud follow. My friend Andolo wud confidently tell me how Gor wud be thrashed. How many times I wanted to choke him to death. Abbas-Kenya 1 says in derbies its not the team that is on form that carries the day. But for the sake of tomorrow’s game I hope he will be wrong!! Facing Leopards is nolonger a battle. It’s now a scuffle. Afc is down and nomatter what they say, this guy is down. This is why I ask for a partner in crime in the CL\CC Africa stage. The league will soon be a 3pointer store for Gor… meaning the matches will b boring. Gor needs some team or teams locally that can give some form of competition. Ingwe rallied all their veterans of yesteryear’s including Mahmoud Abbas and Boniface Ambani and Gilbert Selebwa and Mickey Weche even Charles Okwemba and all former chairmen to go give dejected players a pep talk at KTTC during training. They were told their only hope of silverware is beating K’Ogalo tomorrow. Well i won’t talk much since this blog also has abandu fans masquerading and would wish to use the words against me after the game. We will fight tooth and nail to win and make mayienga fans even happier. AFC Leopards have formed a new office dubbed ‘Rescue Team’ that will manage affairs of the club. The new office was mooted on Thursday in the presence of patron Johstone Sakaja and club secretary Oscar Igaida. However, missing in action was the club chairman Dan Mule, who Goal understands is in Zambia for a private visit. In what one could term as a ‘coup’, Mule was ousted with Maurice Amahwa taking over as the new chairman. Others in the new team are Dan Shikanda (vice-chairman), Oscar Igaida (Secretary) and Napali (treasurer). “The rescue team begins its mandate immediately and will work hand in hand with the National Executive Committee,” Igaida said in a statement obtained by Goal. Several fans have protested at the decision to oust Mule, others saying the new team should have waited for June elections to remove the current office. “In this kind of scenario where they have not followed the constitution, I am left with no option but to side with chairman Mule until the day we shall remove him constitutionally,” said Suleiman Angulu. The new changes come just a few days after the team lost 2-1 to Mount Kenya United, a third straight defeat, to drop to 15th, a point above the relegation playoff position. @Jasego, Though it is not my tendency to discuss Ingwe, I would however suggest that if they want to do a good reorganization let them be relegated to the lower tier and start from there. They will have fought enough wars. So what’s the strategy for tomorrow’s game, are we resting our regulars? @Sylvester, why do you want to discuss strategy of tomorrow’s match with Ingwe fans in this site? @BB, were u to be Boni Ambani , would u decide the Afc job before the derby where u are assured of a vicious thrashing on your first assignment or you accept it after when you are not part of the team at the helm when the thrashing occured-Ambani is an intelligent coward and I mean that in a nice way . Good luck boys, be wary of abdala msitu, the guy is so unprofessional that he can easily cause injury to our players. Do not underrate them but play without pressure and score easy goals. Wuo Odongo Sibuor go bunde konindo Ataro jakericho, Kipkirui kesho lazima mutu alale . J’Asego go for nothing but a win. Just give us a win. You surely understand what is at stake. You field Boniface Omondi with Benard Ondiek in the second half and they won’t disappoint us. Comment of the day ‘Ambani is an intelligent coward’s Ha ha. My day is made.